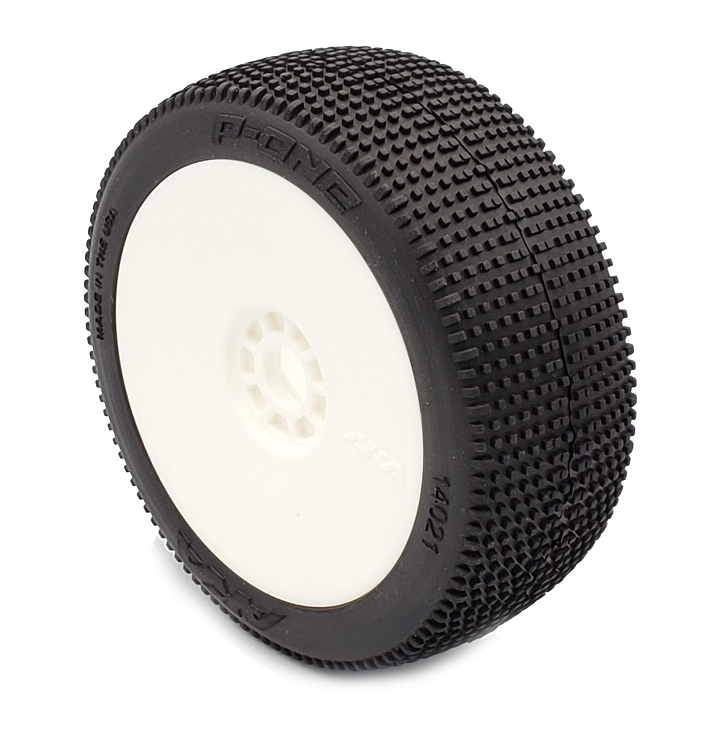 The P1 tire tread design is a small square lug pattern which is ideal for hard packed tracks with a dusty surface. The tread has been designed with a lower profile which allows your car to get in and out of corners effortlessly. 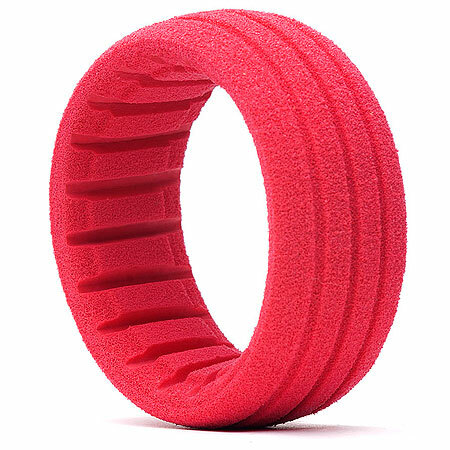 The center double wide lugs provide exceptional forward bite while the outer pin design allows for superior stability at high speeds. As the name states, the P1 makes a great qualifying tire to get you that TQ! It can be used in longer races depending on track abrasiveness. Available in the championship winning super soft (Orange), super soft long wear (Orange/Yellow), soft (Green) and soft long wear (Green/Yellow) compounds.